AS ONE CHAMPIONS drives at uncovering impactful projects; Pealing back the layers to reveal the amazing people striving forward, all the lessons learned along the way and whats up next. As a community we're all about uniting positive, ambitious and innovative characters and working hard to inspire. 1. Tell us about your company/project. The House of Artists was founded 3 years ago by myself, my artist and designer husband Ben Allen and my super talented London based, long-term friend and business partner Kim Shaylor. Between us we have a love of design and interiors and fantastic contacts with jaw droppingly talented artists and we wanted to marry these two together – so House of Artists was born. 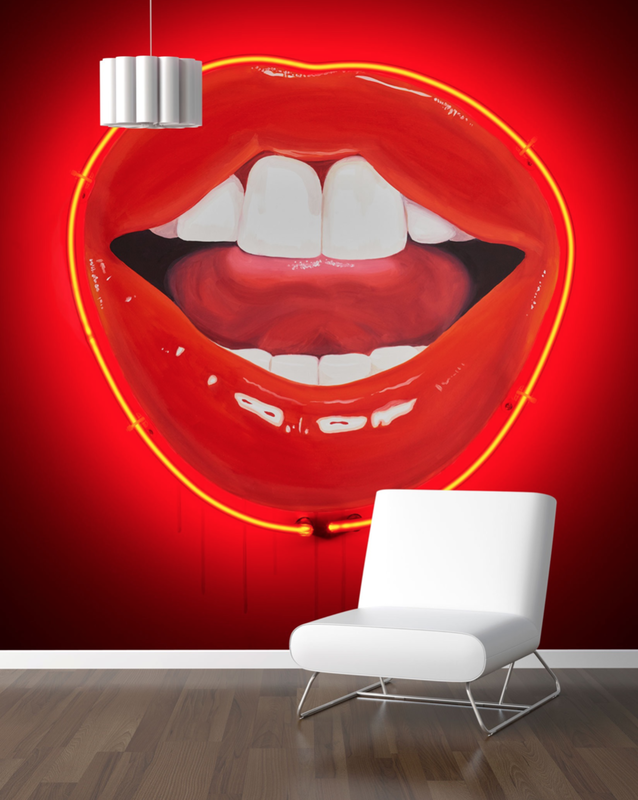 House of Artists produces limited edition (25) wall coverings from world renowed artists. Our work can be seen in restaurants workspaces, hotels and private residences throughout the world. To make the world a happier more colourful place and inspire people through art, however small this part plays in what we do it is without doubt the most important driving force of why we do what we do. On a personal level, the dream is and always has been to be free and work for ourselves, to be free to make our own choices and decisions and be creative with our brand. We would like to see House of Artists in hotels, restaurants and private homes across the globe. In the future we would like to expand our product range to include prints and originals and perhaps a line in soft furnishings to include rugs, lampshades and cushions. We would always work within our USP of limited edition and every thing we make would always be born from an original piece of art. In life, I would give my younger self (and the present me!) the advice that not everyone will like what you do and that’s ok as long as you feel proud of what you are doing and believe in yourself – you cant please all of the people all of the time. and Pelirrocco www.hotelpelirocco.co.uk in Brighton where Ben first put some of his early works. We are lucky enough to work in London and Cornwall so we get the best of both worlds – working in Cornwall give us access to the beautiful coastline which inspires us everyday and we use it daily to swim/surf/run and de-stress and London gives us a place to play and be inspired in a different way. Cornwall for us as a young, creative company would benefit from more cultural diversity, galleries, exhibitions and general creative community based projects. We have a few exciting projects in the pipeline but cant say too much! We are working with a private members club in Singapore and all hoping a trip out there could be on the cards soon! We also have a long -term project with a design hotel in Ibiza that is going to call for some serious partying when it launches. I don’t know if I see that we are fixing any problems but on a smaller scale we believe that art creates happiness and inspires creative thinking which are both things that the world could do with plenty more of right now. When we started HOA we spent a lot of time and money building a flashy website which allowed the buyer to crop their own image online by uploading a photo of their space and ‘add to cart’ and we would send it out. What we quickly realized was HOA is a product which deserves personal attention, and we wanted to connect with our clients, advice them and work with them to ensure that they choose the perfect image for their space. We now talk individually to each of our clients, mock up their image for them and offer free design advice. What the world is missing right now is connection and we want to be a small part of that missing link and provide a personal service to all our clients. I honestly cant think of any one person or company who have been the most help – What I think has been our strength so far is each other, we are all great friends and have worked together to inspire one another to do the best they can to make HOA a success – we couldn’t make this work without each other. We all play pivotal roles in the business. We feel like we couldn't do what we do without other like minded creative people and this isn't just people in the arts - its people just working for themselves, living the dream, working and playing hard - its hard work going it alone sometimes and you need a family of friends around you who 'get it’ so people like Lucy Jenner Brown LJB PR and Amy Swanson atSwan Dive Pilates, Roo at Roos Beach and Ian Cross who gives us the most creative space to work in - all these people make up our work family and give us positive energy.